We are passionate about special houses! 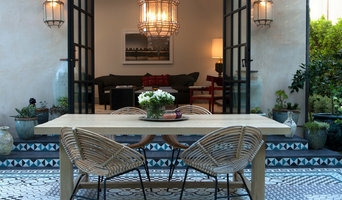 See our more recent work at www.ShannonGgem.com Ggem Design Co is a full service Los Angeles Interior Design Firm. 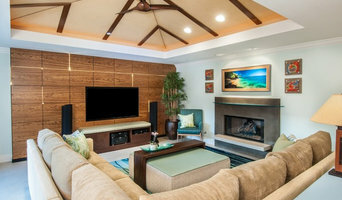 We specialize in renovation/ full furnish of custom homes. It is our goal to help clients create a home that they absolutely love. Personalizing spaces with quality craftsmanship and fine details is our passion. Here are some excerpts from our reviews! "Shannon's mastery of high design concept and practicality is unmatched!" "Shannon is everything you hope for in a designer: she is easy to work with, she is great with budgets, she manages her team with efficiency and kindness and she really listens and is able to interpret your wants into practical solutions. " "I'm not exaggerating at all when I say, it's the most amazing home I've ever seen! " A small, Los Angeles based firm providing Interior design services and consultation for residential and commercial clientele. Studio Hus is an award winning integrated architecture and design studio based in Los Angeles with a focus on residential and commercial projects. Blending historical context with modern vigor, Studio Hus believes that interior design can be fine art but also live and breath. We believe that spaces are biographies – of people playing, dreaming, struggling and prevailing – and where we choose to spend our time and what those settings look and feel like, can change a mind, a day, or everything. The Studio was founded in 2010 in Copenhagen, Denmark by Tatum Kendrick. A New York City transplant with a penchant for global travel, she pulls inspiration from fashion, art and historical architecture. With a creative vision of an artist, the precision of an architect and two decades of experience, Tatum and her team create livable elevated environments, which possess character and verve. I have been designing homes and offices in Los Angeles for over thirty years. My goal is to design a home that reflects the taste, personality, and lifestyle of every client. Attention is paid to details, and regardless of budget, quality is never sacrificed. Complete Turnkey Renovations $175,000 to 2.5 Million. Typical Kitchen Remodel $60,000 to $200,000. Bathrooms Remodel $30,000-$100,000. $150 One-Hour Consultation fee can be applied to your first purchase (time or product). I also offer Custom Window Treatments, Color Coordination & Upholstery. Estimates based on experience. Interior furnishing services vary, your actual costs may vary depending on the scope of your project. Please call for details. Team work is vital during a remodel or refurbishing project. My architects, contractors, and workrooms are top notch, paying close attention to details. Together, we ensure that every project is completed to your satisfaction and that your home reflects your taste, personality, and lifestyle. My Design Philosophy - I love designing beautiful homes. - I love people, having fun, and what I do for a living. - I believe that good design should reflect the taste, the lifestyle, and the personality of every client. I attended the UCLA School of Design and am a member of The American Society of Interior Designers. I have been published in California Homes Magazine, and participated in a showcase house at Greystone Mansion in Beverly Hills, California. My London Bathroom project was featured on The Today Show. See my Blog for more info. Looking forward to working with you on your next home or office project! WE DESIGN WITH INTENTION BY COLLABORATING WITH LOCAL ARTISTS + ARTISANS FROM AROUND THE GLOBE, OUR MISSION IS TO CREATE INTENTIONAL SPACES THAT INSPIRE. BUYERS WILL ENVISION BUILDING A LIFE AND CALLING IT HOME. Judi Design Interiors is a full service interior design firm serving residential homes in Los Angeles & Ventura County in sunny Southern California. From conception to completion, we specialize in a transitional, modern yet timeless aesthetic. We design homes to create environments that will become a natural extension of their inhabitants’ personalities. We strives to design homes that are just as unique as the individuals who live there.The challenge and thrill - lies in the opportunity to create something fresh and new every time.